Sheriff Hutton village stands at the edge of the Howardian Hills, at the top of a high hill. The ruins of a medieval castle tower over the village, and look down on the ancient parish church, which is a treasure trove of historic delights. The most famous historic feature is a tomb thought to be that of Edward of Middleham, Prince of Wales, the son of Richard III, who died in 1484. 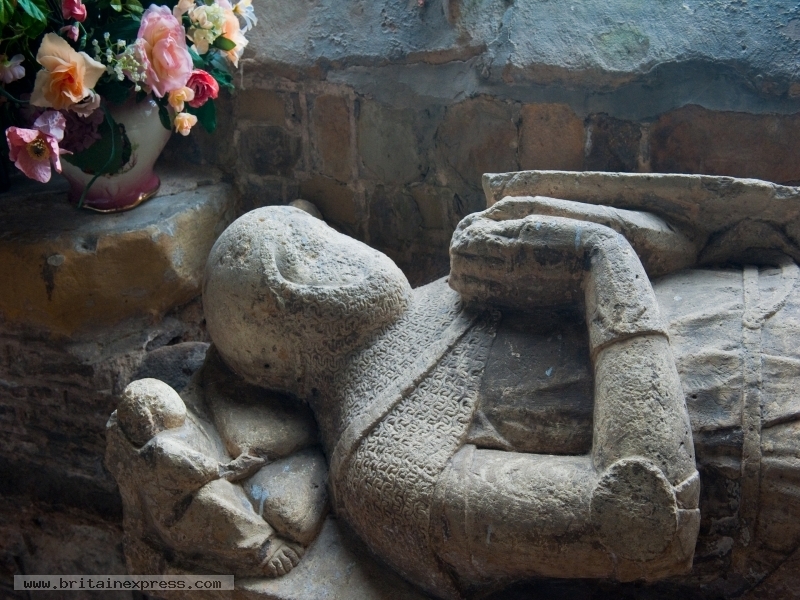 This is the only tomb to a member of the royal family in an English parish church. Just beside the Prince's tomb is the beautifully carved tomb of Sir Edmund Thweng, pictured here. Sir Edmund died in 1344.